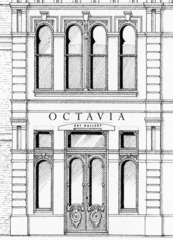 Octavia Art Gallery was established in 2008 on Magazine Street in Uptown New Orleans. The gallery was founded by owner Pamela Bryan, who is directly involved with organizations seeking to preserve the art, architecture, and culture of New Orleans. Similarly, the mission of Octavia Art Gallery is to showcase the work of international emerging and established contemporary artists along with modern masters, emphasizing the preservation and conservation of unique and authentic artistic cultures worldwide. 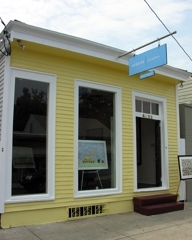 Relocating to Julia Street in 2013, Octavia Art Gallery continues its commitment to bring regional, national and international contemporary artists to New Orleans. Since its founding, the gallery has also specialized in the resale of select works from 20th century artists such as Andy Warhol, Roy Lichtenstein, Keith Haring, and Tom Wesselmann. Additionally, the gallery has fostered strong relationships with artists living in Cuba and continues to present significant exhibitions featuring Cuban and Cuban-American artists.